Escape the London traffic and explore some of the best cycling the capital has to offer. 35 of the best cycling routes that have been handpicked to showcase some of the best cycling to be enjoyed in London. 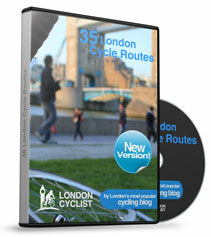 The London Cycle Routes eBook has sold over 1,000 copies and contains 35 of the best cycling routes in London along with GPS coordinates so the cyclist can follow the routes using GPS devices such as a Garmin or iPhone.